We have two rockin' hats to choose from! 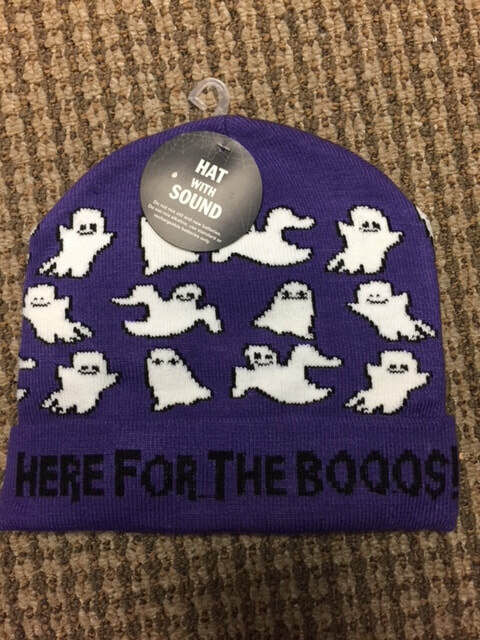 "Here for the Booos" winter hat (with sound!) and the BBB baseball hat. Why not buy one of each? They're only $5 each, plus shipping!